An emergency ordinance to clarify TriMet's fare collection authority was denied and delayed after the Board of Directors failed to reach an unanimous decision during its Wednesday, Oct. 24, business meeting held in Gresham. Kathy Wai, representing District 7 and Clackamas County, was the lone dissenting vote for Ordinance 351, which was written in response to a ruling by a Multnomah County Circuit Court judge who found one random fare inspection on a TriMet MAX light-rail train to be unconstitutional. The ordinance clarifies TriMet staff's ability to conduct ongoing requests for proof of payment. Wai voted no to allow time for community groups to weigh in on the topic. "I have a concern on us waiting to pass this when there is confusion and ambiguity, as it creates more of a chance for escalation," said Travis Stovall, vice president of the board and representative for East Multnomah County. With the lack of unanimity, the emergency aspect and immediate passing of the ordinance was voided. Instead the vote served as a first reading, with the board planning to reconvene on Nov. 14 for the second reading. "Rather than have the board vote today with only a short time for the community to respond, we need to allow for people in the community to share their opinions," Wai said. The Sept. 20 court ruling by Judge John Wittmayer laid out four conditions that must be met for a passenger stop to be administratively valid, and said TriMet failed to meet two of them. First, he said prosecutors did not convincingly argue that the Oregon Legislature authorized TriMet to conduct stops when it created the agency. He also said the presence of police officers on trains threatened immediate criminal charges, not merely civil penalties, for violations. The ordinance reaffirms that no proof of payment calls for a citation, not a criminal offense. It also highlights the Legislative authority backing TriMet to collect fares. It doesn't change whether fare enforcement occurs, instead it is seen as a way to educate the public and staff as to why the organization is authorized to conduct enforcement as a response to the court case. "I don't see any benefit in delaying this," said Linda Simmons, secretary and treasurer of the board, who represents portions of Southwest Portland and Washington County. 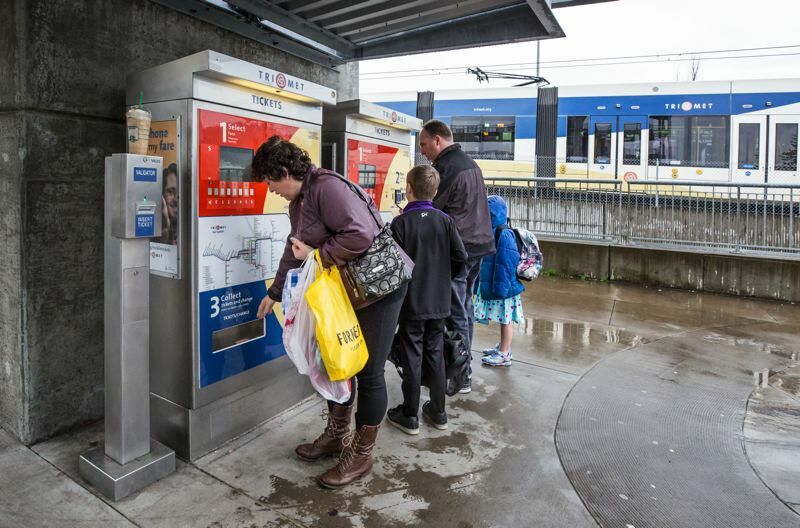 According to Transit Police and fare collectors, there are problems throughout TriMet's fleet with customers believing they don't have to produce proof of payment when asked. Those collecting fares have asked for more support and a clearer message, which TriMet believes to be achieved through the ordinance. "(Fare collectors) feel unable to respond to situations where riders are saying 'You don't have the right to ask for proof of payment,'" Van Hagen said. "Those without visible Transit Police support had higher concerns about escalating situations." The incident that led to the ruling involved David Douglas School Board member Rosa Giovanna Valderrama, who was a passenger on a MAX train that stopped at the Old Town/Chinatown station, where TriMet was conducting an enforcement mission with the assistance of Portland police. A fare inspector asked her for proof of payment when she left the train, and saw her then activate an e-ticket on her mobile phone, indicating she had not paid her fare before boarding. The inspector asked Valderrama — who also uses the name Ana Del Rocío — for her identification. Valderrama replied she did not have it on her, but eventually produced a credit card with the name of an employer and also the name "A. Valderrama." The exchange was witnessed by a police officer, who came over and asked Valderrama for her identification. Valderrama gave him the name "Anna Valderrama" and the date of her birth, but the officer was unable to find it in any available database. He then arrested her for theft of services and giving false information to a peace officer in connection with a citation. Valderrama challenged charges and was represented by the ACLU, which filed a motion to suppress the evidence against her. Wittmayer's final decision was that "the seizure of a defendant does not satisfy all the requirements of a valid administrative search." The ordinance by TriMet was a disagreement. The Board of Directors reaffirmed its goals of moving forward with the matter in a timely manner, and talked about further steps like increased training for fare collectors, better communication of TriMet policies and transparent decision making. If the second reading in November is approved, then the ordinance will be enacted in December.